Lock in a great price for Golden Nugget Hotel & Casino Las Vegas – rated 8.4 by recent guests! The food at the Claim Jumper was excellent. The food at the"Grill" was yummy and fresh, loved it!!!! We won lots of money on the slots.......could not believe how well the machines pay. Had a blast winning!!!!! Value is unbeatable - our flight in the morning was delayed several hours so the hotel let us check back in and do a late checkout in the same room we were in. Very accommodating! Locations was perfect Staff was friendly and the pool was AMAZING! Price was very affordable and it was really nice vallet parking was included in the resort fee. 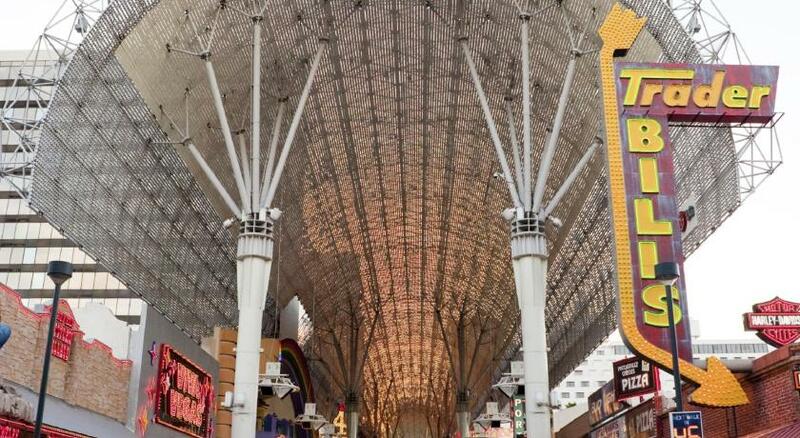 We liked the location in relation to Fremont Street and it was also easy to get an uber or taxi. Reasturants were Excellent. Best prime rib dinner was enjoyed adjacent to the amazing fish aquarium. Everything about this place was very enjoyable. Room rates were a good value compared to the strip. Fremont district is the place to be! Featuring an outdoor pool, poolside bar and lounge area, this Las Vegas casino and resort is less than a 5-minute walk from the Fremont Street Experience. Plush bathrobes are featured in each elegant room. With a separate vanity area off of the marble private bathroom, each room provides a pillow-top mattress. A 40-inch flat-screen cable TV, white linens and rich wood and leather furnishings are also featured. Select suites have two marble private bathrooms or two flat-screen cable TV’s. Guests can relax in lounge chairs on the poolside terrace or sauna at Las Vegas Golden Nugget Hotel & Casino. Slots and tables are featured in the on-site casino. Massage services are featured in the Spa. Dry cleaning services and concierge services are available. Eight restaurants and a Starbucks are on site. Featuring premium steaks and elegant decor, Vic & Anthony’s Restaurant is on site. Featuring aquarium side dining and fresh seafood, Chart House Restaurant is also featured at the Golden Nugget. Las Vegas Strip is 3 miles away. Hoover Dam is 30 miles from Golden Nugget Hotel & Casino Las Vegas. When would you like to stay at Golden Nugget Hotel & Casino Las Vegas? Featuring a separate vanity area off of the marble private bathroom, this room provides a pillow-top mattress. A 40-inch flat-screen cable TV, white linens and rich wood and leather furnishings are also featured. Featuring a separate vanity area off of the marble private bathroom, this non-smoking room provides a pillow-top mattress. A 40-inch flat-screen cable TV, white linens and rich wood and leather furnishings are also featured. Featuring a deep soaking tub and a rain faucet shower head in the marble private bathroom, this nonsmoking room provides a pillow-top mattress with down bedding. A flat-screen cable TV, white linens, leather and rich wood furnishings are also featured. In the Rush Tower with immediate access to the casino floor, the non-smoking suite features an iHome docking station and 2 plasma TVs with a DVD player. The large private bathroom includes a deep soaking bathtub and a raintree shower. The tower has its own check-in, porté cochere and valet. This traditionally decorated air-conditioned room includes a flat-screen cable TV and an iPod docking station. It includes a sitting area with a work desk and ironing facilities. A dining area and a coffee machine are also available in this room. This double room has a seating area, bathrobe and dining area. This double room features a bathrobe, seating area and dining area. Please note: The theme and decor varies and cannot be guaranteed. EXPERIENCE THE SPLENDOR OF THE BEST HOTEL IN LAS VEGAS. SPARING NO EXPENSE AND FURNISHING EVERY DESIRE, YOU WILL AGREE THAT THE GOLDEN NUGGET LAS VEGAS HOTEL IS THE STANDARD FOR LUXURY AND COMFORT. 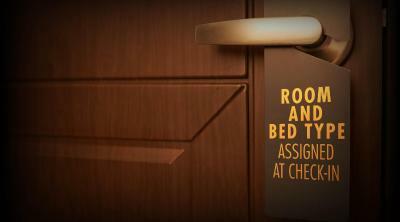 House Rules Golden Nugget Hotel & Casino Las Vegas takes special requests – add in the next step! Golden Nugget Hotel &amp; Casino Las Vegas accepts these cards and reserves the right to temporarily hold an amount prior to arrival. Golden Nugget Hotel & Casino Las Vegas accepts these cards and reserves the right to temporarily hold an amount prior to arrival. Guests must be 21 to access the Hideout Pool. Guests under the age of 21 can access the property's other pool. The ID of the guest checking in must match the credit card holder. If not, a credit card authorization must be filled out before arrival. Registered guest must show a valid photo ID and credit card upon check-in. Front desk is really busy and may need some extra help for the guests requests. Requested water to our rooms and it never came but not a big deal. The slide in the pool goes so fast that you cant see the fish in the tank but it's a good idea, just not as functional as thought. Still cool though. Best prime rib in the world!!! Bed and pillows were really comfortable. Slept well, but earplugs are a must! Room was very far from the elevators, not good for someone with mobility issues, but it was very spacious with nice furnishings. The pool is nice but the Hideout lounge is not worth the bother - waited 20 minutes to get in, even with a reservation, and the pool is tiny. Overall I like the hotel and would stay again.